Meditation is fast becoming popular, and more and more people are seeing the benefits of meditating. It is certainly a great tool to not only reduce an onset of a panic attack and long term anxiety, but also help you reconnect to your soul. The idea that we have to sit or lay still to quieten the mind, for the most parts, may seem like a boring thing to do. And that’s the issue right there. You are not doing anything at all, but being. Meditation is about stilling the mind (as much as possible) and to achieve a being’ness state of pure awareness. 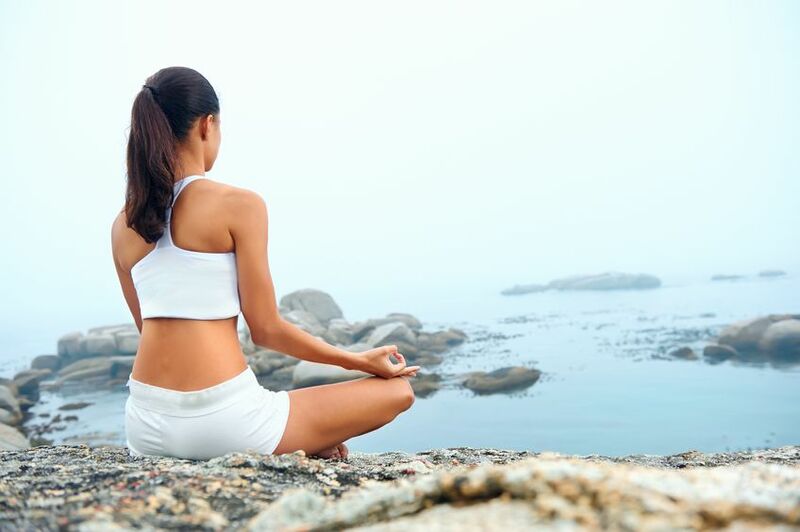 And the reason is not only due to the numerous health benefits to the mind (and as a result, your body due to the mind-body connection) but also due to the lovely rush of relaxing, energizing feeling you get when you do meditate. This is a classic fear. I sometimes come across people who will not meditate, because they don’t want to put their legs in that crossed position. I don’t blame them as it’s not the easiest posture to maintain if you are not used to it. (I mean, great if you are into Yoga, but not so great if you are just starting out). But here’s the thing…meditation can be done anywhere, in any (reasonable) position. I frequently meditate laying in my bed, first thing in the morning, and even sitting in a cramped car. You don’t need to sit up straight, if that is too uncomfortable for you.Whatever position works best for you, that is the position that you need to be in. Another classic error in thinking about meditation, is the ability not to think. I hate to break this too you, but forcing yourself not too think is not only stress inducing, but that is also not how our mind works. Whatever you focus on expands, so by trying hard not too think, you are essentially fueling your mind to do just that…think. Or to put it another way; if I said to you to never, ever, ever think of an apple, the chances are you are going to think of an apple. And that’s fine by the way, this is how our mind works, good or bad. The thing is to not care about it, which is why one of the best meditations out there is open ended meditation, which is the ability to simply observe your thoughts without judgment. This is a great way to becoming present. Another thing can be off putting is the idea of not knowing where to start. There are some many different types of meditations out there, and of course, people have an image of a certain Yoga position. All of this can seem very overwhelming and complicated. The truth is anything but. Meditation can be as simple as just observing your breath while you are walking. Just this alone is a great way to becoming mindful, connect you to nature, and maintain peace. If you would prefer, you can lie down and watch your thoughts instead, like watching a TV program. Both would work great. I was once speaking to my sister when she was driving me somewhere, and I was trying to explain the benefits of grounding yourself when you are around negative people. The subject of meditation, naturally, came up. To which she responded, ‘Why should I care?’. Why should we care about meditation…I mean, why actually bother at all? Well, let’s put it this way, there is a whole body of reasons that promotes meditation to be good for your mind and body, from increased cognitive function and improved memory, to improved cardiovascular health and a slowing down of aging. Guided meditations can be great, don’t get me wrong, and especially useful for someone who cannot control their imagination and their mind. But don’t rely exclusively for it, just like you can’t rely exclusively on your driving instructor after you passed the test of driving a car. You will need to experience meditating on your own, with no help what-soever. And that is fine, by the way, as the one biggest drawback of guided meditation is that you are limited to the length of the practice. When you do it solo, you can decide to stop when you want, and how you want. You have flexibility on your side. On top of that, if you are not careful you may turn guided meditation into a sort of crutch which will obviously backfire, so it is useful to alternate being guided and solo meditation. Food for thought. Some people lead the most busiest of lifes, because we are trained to be like that, yet all you need is a minimum of 5 minutes in the morning and 5 minutes at night. Doing this on a regular basis will allow you to feel the effect of meditation, enough (hopefully) to lengthen the practice.